The Eero may be the sleekest mesh-routing solution on the market. It has a simple design, and it serves a simple purpose; to spread Wi-Fi throughout your home. Now, leaving such a nice system on the edge of a desk or behind a TV is a bit of a shame… Why not mount it? A mounted Eero not only looks nice, it also has better Wi-Fi coverage than an Eero that’s found itself on a coffee table or behind a TV. A router that experiences a lot of interference (like the one that was behind my couch), just isn’t going to make connections as well as it should. That being said, this isn’t an issue of form over function, mounting your Eero is simply the smart thing to do. Thankfully, the best mounts for the Eero are all reasonably priced, and only one of our favorite mounts costs more than $12. The DG-Direct is the simplest mounting solution for your Eero. 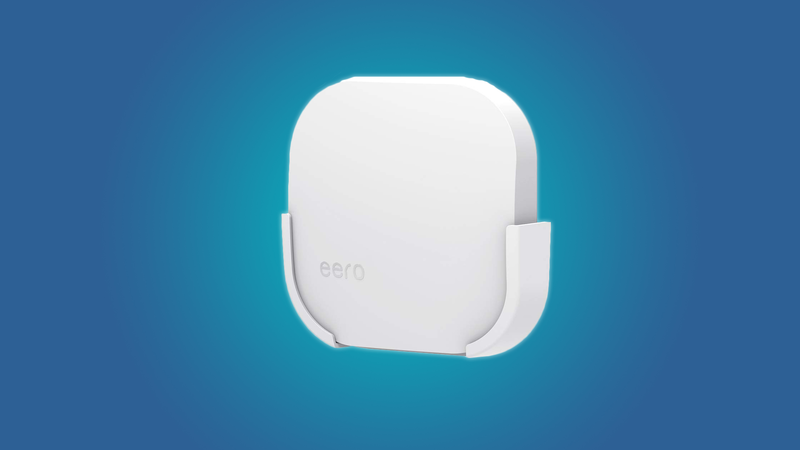 It doesn’t need brackets or screws, you just slap the Eero into the mount, plug it into an outlet, and forget about it. But my favorite thing about this mount is the way that it wraps the Eero’s power cable out of sight. It’s a clean look, one that removes the eyesore of loose cables. No, this isn’t a wall mount. Unless the outlet that you plug this bad boy into happens to be over a kitchen counter, there’s a good chance that you won’t see any improved performance when using this mount. If you’re not too worried about interference, the DG-Direct is a great looking and convenient mounting solution. Just to reiterate; the DG-Direct tucks away your cables, and it requires no installation. If you’re just looking for a straightforward wall mount, you may as well call the Mrount your new best friend. It’s an easy piece of hardware to install, you just drill the cradle-shaped mount into a wall, and then slide the Eero into said mount. The Mrount’s low-profile design offers a lot of versatility, as it’ll look good and work well just about anywhere. 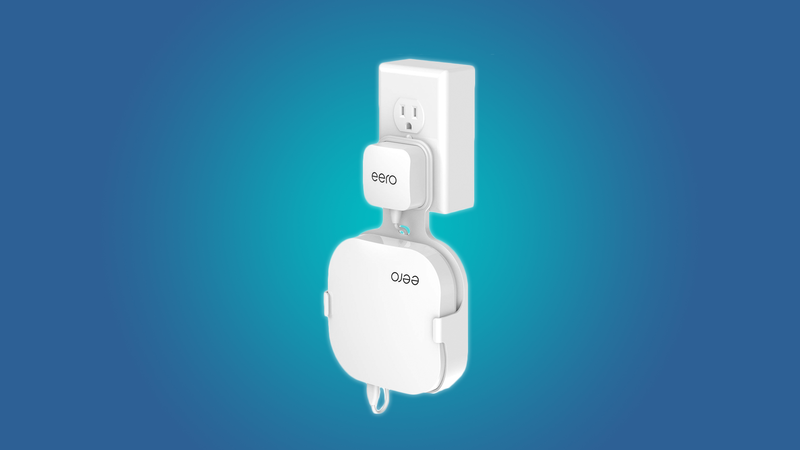 You can’t route the Eero’s power cables through the wall when you use the Mrount, but there’s not much of a point in putting it far away from an outlet anyway.